Competitive rates and great money saving coupons will get you competitive rates and you will save even more money with our monthly specials. From our family to yours, Honesty and Integrity guaranteed! Are you looking for a reliable auto repair shop that can service all makes and models of cars? Kelly’s Worldclass Automotive can help you with all of your auto repair needs. Competitive rates and great money saving coupons not only will you get competitive rates when we work on your vehicle, you will save even more money with our monthly specials. You can count on us to give you the best quality service. Our owner is an ASE certified master technician, our technicians are ASE certified, and we are also dealership and factory-trained. 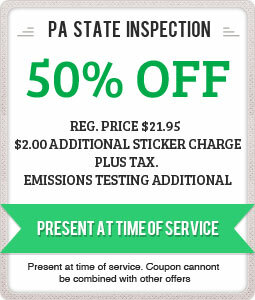 In addition to being able to effectively repair your car, we are also certified by the State of Pennsylvania for emissions and inspection. You’ll always get exceptional service with Kelly’s Worldclass Automotive! Get your oil changed for $33.99 + tax. 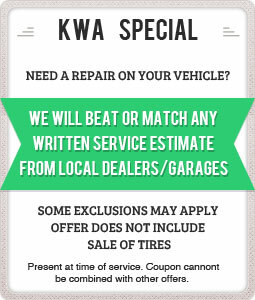 Call Kelly’s Worldclass Automotive at 484-369-8342 to schedule your appointment! Worldclass Services – We service all makes and models for auto repairs, oil changes, brake installation/replacement, and much more. Worldclass Reviews – Learn more about us and check back for news and events. Coupons – View our money saving coupons! (C) 2014. Kelly's Worldclass Automotive. All Rights Reserved.